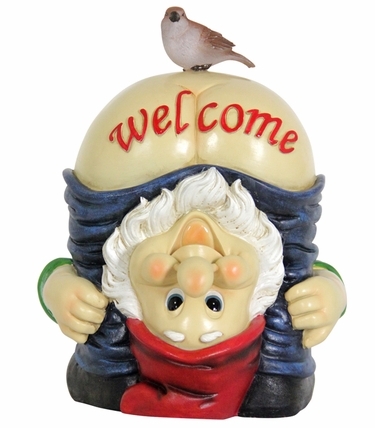 If an image is worth thousand words, we'll allow the shot of this Solar Full Moon Gnome Welcome Sign to speak for itself. Ridiculous, and a ton of fun for your humorous garden! Size: 9" x 9" x 12"H.